Legends has it that well before any shinobi village was formed, a man known as Shanao got lost one fateful night and ended up on in the territory of Tarōbō, one of the seven Daitengu (greater tengu) from the legendary creature race known as Tengu. The Tengu were known for their great skill in combat, Bukijutsu more then any, no clan, race, or creature alike could best them. It is said that only those with a combination of abnormally high spiritual energy and natural energy could enter the lands of Tengu, or those who walk on the line between life and death. As Shanao wandered the forest trying to find his way out he found himself surrounded by Tengu warriors. They were mostly humanoid looking beings, aside from their black wings, beaks, bird like eyes, clawed finger and talon like feet that is. Shanao looked away warily waiting for one of them to speak, or attack. After a few tense moments a single Tengu appeared from the tree line, this one was dressed in a more noble fashion, he introduced himself as the Daitengu Ajari; lord of the Tengu clan of region. He asked Shanao how he came here and when Shanao said he 'stumbled upon it' he became amused. Ajari noticed Shanao carried a blade and challenged him to a duel, if he won he could leave, if not he would be struck down, needless to say Shanao accepted. The duel lasted roughly fifteen minutes with Ajari in control the whole time, toying with Shanao, It wasn't until Shanao fell to the ground he landed his only strike. Shanao throw dirt in the eyes of Ajari before the final blow could be swung, blinding him if only for a moment, Shanao brought his blade up slicing Ajari on the right side of his face drawing blood. Ajari laughed in amusement and bowed slightly to Shanao praising him for actually landing a blow. Shanao asked if he was permitted to leave, Ajari said only on one condition, if he were to travel south to Kuroi Jukai (Black sea of trees) and slay his eldest brother Sōjōbō. Shanao asked how he could beat him if he couldn't beat Ajari. Ajari reassured him that he would lend him some of his power as well as a poisoned blade, all he needed to do was land a single blow. Ajari went on to say that Sōjōbō would under estimate a human, thus giving him a opening to land a single strike. Shanao knew better to turn down a request from a Tengu lord, knowing it would only end in his death if he did so, so he accepted the task. Armed with a new poisoned Tengu blade, and a burst of mystical energy from Ajari, Shanao headed south towards Kuroi Jukai. It took Shanao three weeks to reach Kuroi Jukai, all the while he was trailed by the Tengu belonging to Ajari, they did not stop following him until he reached the outer limits. Now that Shanao had Ajari energy with in him, he was able to sense where Kuroi Juai was almost by instinct. As he passed an invisible line the forest changed from that of a normal one, to one of black tree trunks and red leaves. Just as when he entered Tarōbō territory he soon found himself surrounded by Tengu, these ones looked just as the first ones but their clothing was one that seemed to be of higher nobility. Shanao waited, this looking around waiting to see if Sōjōbō would appear just as his younger brother did. Sure enough after a few moments Sōjōbō appeared. Sōjōbō was more intimidating then his brother, and held a higher aura of power about him. Sōjōbō spoke asking why Shanao was he, he noted how Shanao didn't seem shocked at the appearance of Sōjōbō or the Tengu that surround him, wondering why this was. Shanao didn't speak he drew the blade given to him by Ajari, as he did the Tengu drew theirs and descended upon Shanao, but before they could land a single blow Shanao tossed the blade to the ground before Sōjōbō and bowed, at this the Tengu all paused in the air in slightly confused. Sōjōbō asked what the meaning of this was and Shanao told him of the meeting with Ajari, and then said he wouldn't be used as a pawn. Sōjōbō told him to rise and follow him back to the temple. As they walked Sōjōbō explained to him that the sword would of transferred his powers to Ajari allowing him to take control as the strongest Tengu lord. He went on to say that he was impressed he would go against the orders of a Daitengu, but not to worry for Ajari would be dealt with before any harm could fall upon him. Once they reached the temple Sōjōbō offered him a choice, the first was to return to the normality that is human society, or to stay with him, train under him. Sōjōbō stated that Shanao had a strong will, honor, and potential he hasn't seen in a human before. After a few moments Shanao agreed to learn the ways of the Tengu lord. Once he agreed Sōjōbō took a cup from a table and cut his hand open allowing blood to flow into it, and then told Shanao to drink it. Sōjōbō contuined to spea saying once he did he would gain some of the Tengu power, such as being able learn combat skills with ease. Over the next few years Sōjōbō taught Shanao in the ways of Bukijutsu, mastering dozens of weapons in what would take many a lifetime took Shanao only years. After ten years Shanao had become a master of Bukijutsu, being able to best even Sōjōbō, as long as he didn't use his inhuman speed and strength, as such Sōjōbō told him there was nothing else for him to learn from him, and to return to the humans and live a full life. Shanao thanked Sōjōbō for all he has taught him, and left the temple, he was never able to find the temple, or the forest ever again. Upon returning he took up a new name, believing Shanao never truly made it out of the forest, that he has changed to much to consider himself the same man, from the day he left the temp he took the name ,Yasuo Amagiri. The Amagiri clan is one that has it's power in the Bukijutsu and Fuinjutsu, and it's a clan that dates back to well before Konoha was formed, some say it is one of the oldest clans to date rivaling that of even the Uchiha and Senju clans. The Amagiri clan was present during the Uchiha Senju war that took place before the founding of Konoha. The Amagirl were originally sided with the Uchiha clan following them into battle against the Senju, but once the fighting started to become out of control the Amagiri clan backed out of the war believing that the Uchiha as well as the Senju lost what they were fighting for. Once they backed out from the war the Amagiri still wished to help anyway they could, so they focused their forces on containment of the warring clans; keeping both clans with in what would one day be the nation of the fire and not allowing other clans or lands to get involved in the conflict in fear of to much blood would be shed. Once the dust settled the Uchiha clan, and the Senju clan signed a treaty, with this treaty signed the Amagiri clan approached the two clans and offered their services vowing to do whatever is needed to keep the Village alive. The Amagiri clan is loyal to the very end, having taken place in every conflict Konoha has been apart of. Those who still practice in the old style will die before they give up info, or often times take their own lives rather then be taken alive by the enemy. It is this loyalty that many Hokage count on when a tasks needs to be done that they fear other shinobi wouldn't be able to do, or willing to do. As the clan aged the number of members retaining the Kekkei Genkai slowly died out, moving from the thousands, to hundreds to now only a handful still able to activate the Kekkei Genkai. Kekkei Genkai Description: Do to the simple act of breeding, members of the clan who are born with chakra elements lose the ability to unlock the Kekkei Genkai, some believe this is because the chakra natures block the dormant Tengu energy with in them. Those who do not retain the Kekkei Genkai are born with elements but lose the benefits, (3rd spec), and can not use the Bureido Sutiiru, or the Unsealing Technique: Mind and Soul Reincarnation. ability/Function: Through the Amagiri KKG, the user can channel fuinjutsu techniques through this tattoo by simply paying the chakra cost. The seal can be used for jutsu one rank higher and below. History: seals are place on various body parts of the clans members, much like tattoos. These seals are mixed with blood and chakra of both the elder of the clan and the member being 'tattooed'. This mixture makes the seals permanent meaning the caster only needs to "refill" the seals. These seals act as a conduits for the clans Fūinjutsu, this means the simply pay the chakra cost of unlocking the seal to activate it (E: 5 D: 10 C: 15 B: 20 A: 25 S: 30 SS: 40) The seal can be used for jutsu one rank higher and below. There is one seal that is formed differently then the rest, this second type, has its ink mixed with every clan member since the clan was formed. Each time a new baby is born their blood is added to this ink, thus carrying on the legacy and adding to the pool. The elder then takes this ink and creates a seal on the body of the newest clans member giving them the ability to use the Unsealing Technique: Mind and Soul Reincarnation, but they must complete the mission. Mission name: Unsealing Technique: Mind and Soul Reincarnation. Mission details: To obtain the Unsealing Technique: Mind and Soul Reincarnation., as well as bring it up in rank the user must under go this mission each time. The user starts off by creating the Amagiri seal on the ground and then sitting in the middle in a meditative position. Once there the matching seal on the users body activates and they enter a spirit like realm. Inside the realm the user will be place in a dojo with an elderly man sitting across from him, Yasuo Amagiri the founder of the clan. 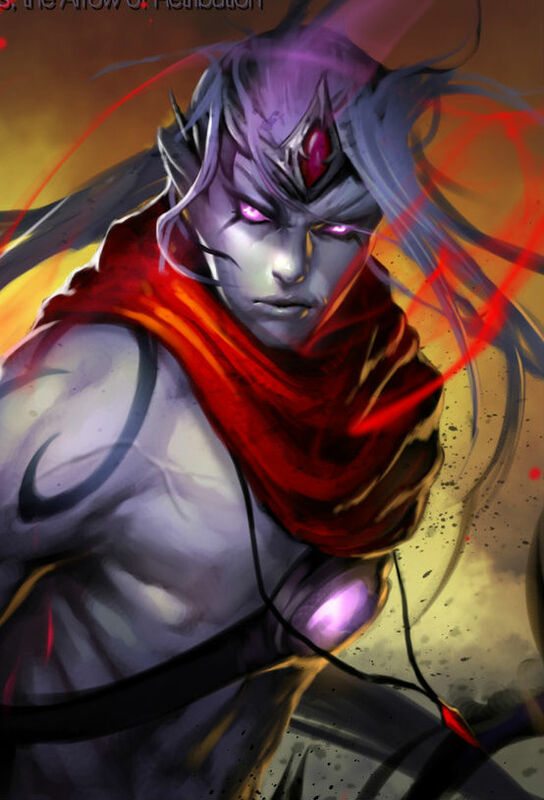 Yasuo will explain that to be able to use the soul force they must beat him. He goes on to explain in more detail that the user can not use any jutsu but only Bukijutsu, Fūinjutsu or taijutsu. Each time the user does this mission Yasuo will move up in a rank in power, starting at a D rank. Yasuo also can not be bested the same way twice, this is to say, if the first time you used a sword, it will not work a second time around. Amagiri clan is well known for their art of Bukijutsu, and as such they are able to learn techniques they see by having a deep understanding of how the body moves while using Bukijutsu. With having the knowledge, understanding and deep roots of Bukijutsu this allows them to watch the movement of a persons body in a fine detail, down to the slightest muscle movement, stance, and footwork and then mimic the very motion to replicate the attack they. The Amagiri have homed their skills in the forging of things weapons and as such have created special weapons by combining their blood, chakra and a seal the weapons are able to seal a single jutsu of equal rank of the weapon, and changes it's damage out put to that of the jutsu. Ability/Function: Able to seal a single jutsu of equal rank with in it. After the jutsu is sealed the weapon changes its damage from it's own rank, to that of the sealed jutsu (I.E C-rank blade dmg turns into C-rank jutsu dmg). Additional the user can unseal the jutsu from the weapon and send it back as an attack, as well as freeing up a slot in the weapon. History: The Amagiri clan mixes their blood with the material of the weapon during the forging process, and then etches a seal into it using Fūinjutsu. These two things combined create the Amagiri weapon, a combination of everything the clan is. Instead of having to create a new weapon the sword can be reforged to become stronger. An Amagiri keeps their first weapon their entire life believing their 'soul' is part of it. Clan members can start off with three specialization instead of the normal two, the third being placed and must be trained up from D. [two out of the three must be Fūinjutsu and Bukijutsu]. Members can not start with elements. Members can not start with ninjutsu, and can only take it as a fourth spec. Since the clans body must always be in top shape as well as in sync, members must train each stat equally, this means no stat may be 2 tiers above another. Members can not take the following positives: Mighty, Elementalist, Jutsu Master and Quick Learner. Members must take Hesitant (Element) as a negative. Learning a element have a 10% increase to word count cost. Elemental jutsus cost an additional 10 charka when used. Name: Ittou Shura "Blade of Carnage"
Duration: first time-3 posts, second time- 5 posts. Description: When activated the user gains a plus one tier boost to their reaction for a short amount of time, as well as their Bukijutsu weapons will do one rank higher in damage. At the first use and after the jutsu has ended the user becomes extremely drained and suffers a minus one to speed for five posts. Name: Bureido Sutiiru "Imitation Sword Technique"
E-B Rank Techniques: Must see the technique performed once to learn it. A Rank Techniques: Must see the technique performed twice to learn it. S Rank Techniques: Must see the technique performed three times to learn it. SS Rank Techniques: Must see the technique performed four times. Name: Unsealing Technique: Mind and Soul Reincarnation. Description: The user unlocks their clan seal and channels a past clan member to them. Upon doing so the user will have a shell around their body which creates a silhouette of the channeled member, once linked the user will take on the Bukijutsu subclass skill and weapon of the linked member. This will allow a member with kenjutsu as a sub-class, to channels a member with Kyujutsu, allowing them to wield a bow. The rank of weapon that can be summoned can be equal to or less than the rank of this jutsu. Drawbacks: The channeled member must be apped as if a weapon. The user also must train every rank, this is to include D as well. "This is largely do to the fact of simple breeding, members of the clan who are born with Charka elements lose the ability to unlock the Kekkei Genkai. Those who retain the Kekkei genkai also learn the art of Fūinjutsu. At a young age seals are place on various body parts of the clans members, much like tattoos. These seals are mixed with blood and charaka of both the elder of the clan and the member being 'tattooed'. This mixture makes the seals permanent meaning the caster only needs to "refill" the seals by placing the matching seal on whatever they wish to unseal later on. " So since this is information that explains the KKG, could you please move it over to the KKG section.
" then any other weapons, because of this they are given a C-Rank sword at creation"
Is this sword a set item or can the user apply for a free custom one?
" clan members can start off with three specialization instead of the normal two"
There isn't a set rank for starting off with a third spec, what rank will it be, or does it have to be trained from nothing? Fix up dat list o' yours a lil fo' me. "[*]Members can not start with ninjutsu." So there's ambiguity here, are you saying that clansmen can't have ninjutsu at all, or they have to train it from nothing, or they can only take it as a 4th spec? That range restriction on jutsu is an interesting and very strong drawback. "user gains a plus one boost to their speed"
"Bukijutsu weapons will hit a rank harder"
"At the first use the user becomes extremely drained and suffers a minus one to speed for five posts." I'm assuming this happens when the jutsu ends, add that in. Theres a problem with how much is packed into the jutsu. As a normal C rank would be considered 'full' with a stat increase and drawback. Tell you what, I'll give the weapon damage buff if you make the jutsu cost 30 chakra instead of the normal 20. As an end note, the second usage drawback can't really be considered when balancing the jutsu because the drawback wont apply if you only use it the one time. However maybe you could buff the second usage duration to 5 posts and that would work. This jutsu learning thing is a HUGE deal, something like this would need to be featured in the KKG section and detailed in full. So I am having a little difficulty trying to grasp how breathing and footwork would make a 5m journey at normal speed 'difficult to percieve' and what that has to do with it being percieved as dangerous. I would like a greater description and explanation here. "Meanwhile, the range of the attack is increased "
I think you mean something to the effect of 'the movement creates a strike that had a larger reach than normal'. Could you please swap that in to make it a little clearer. Again specify +1 tier to speed. I would like to mention that increasing your speed will not increase the speed of your sword swing. If you are looking for an increase in point to point movement, go for a reaction time buff. "and their attack will gain an additional rank of power. " You never specified what this attack is, is it a basic attack, or could it be a jutsu, or both? You could always have the jutsu do S rank damage which is basically cleaving an opponent in two anyways. "with a second attack while the opponent is trapped. " Ok so if you want to employ a trapping effect with the jutsu, I would like it to be able to be resisted (ignored) at S-2 strength, or an an appropriate A rank jutsu can be used to escape it. "The second attack in this instants will always hit at a full rank lower then the first." A full rank lower of what, damage? I would like the 'dodged' term to only be applied to the 'missed or slight dodge' part so that there won't be contention on whether the jutsu was missed, dodged, slightly dodged, ect. 4- Added new perk of "They also have trained their bodies to be one with their weapon, making it so their weapons are silent. If the clan member is attack from a blind spot, or their weapon isn't visible they receive a plus 1 to perception. (Or would the target get a minus 1)"
3- added "After the jutsu ends.."
4-Added the extra charka cost. "Amagiri clan is well known for their art of Bukijutsu, and as such they are able to learn techniques they see by having a deep understanding of how the body moves while using Bukijutsu. With having the knowledge, understanding and deep roots of Bukijutsu this allows them to watch the movement of a person body in a fine detail, down to the slightest muscle movement, stance, and footwork and then mimic the very motion to replicate the attack they." Took this away to sub it in with something else. "Do to the simple act of breeding, members of the clan who are born with chakra elements lose the ability to unlock the Kekkei Genkai"
So are you saying that people who join the clan have a choice between having the KKG benefits and the elements? Does this go for the jutsu too? If so then put that in there. "These seals are mixed with blood and chakra of both the elder of the clan and the member being 'tattooed'. This mixture makes the seals permanent meaning the caster only needs to "refill" the seals"
Maybe they start off with 1 free one and are able to app more. This is so that we have a record of where they are and what they can do without restricting the seals to a particular spot. For the free weapon, I would like you to again include a spoilered item thing as above (the weapon one though). Can you expand on the silent weapon part? What about if you are smashing your weapon down on metal or something, will it still be silent? Maybe the clan passively hold a minute amount of chakra in their weapon which suppresses sound. "If the clan member is attack from a blind spot, or their weapon isn't visible they receive a plus 1 to perception. (Or would the target get a minus 1)"
buffing yourself and debuffing an enemy are two different things. Choose one one these. Also explain how, as it doesn't really make sense that there would be a change in perception (which effects everything, e.g. seeing through genjutsu) because they don't see your weapon. You'll need many more active drawbacks to balance all the juicyness you are getting. "Elemental Ninjutsu attacks are one rank lower in power when used"
What does 1 rank lower in power mean? Does it mean less damage, or the 2 rank lower when interacting with other jutsu? Bureido Sutiiru "Imitation Sword Technique"
Is this jutsu only meant for copying buki techniques? "Once you can cite the technique having been seen the required number of times, you must link those times in your Jutsu registration where you App the copied technique. You are still required to pay the ryo cost for Jutsu learned with the Imitation Sword Technique, but you do not have to train them"
Hmm so you are paying chakra to gain a subspec and a weapon that you don't have? Seems ok to me. "(but does not take up a slot in the armory)"
I would like this removed, you've got to have a record of your stuff, and in your locker would be the right place to keep them. Oh is this the free C rank sword you were talking about earlier in the app? If so, move this up to there and remove the 'technique' from the label. If it is meant to be a jutsu, then use the correct template. Move that mission up to the kkg. 2- Added the following: These seals act as a conduits for the clans Fūinjutsu, this means the simply pay the chakra cost of unlocking the seal to activate it (E: 5 D: 10 C: 15 B: 20 A: 25 S: 30 SS: 40) The seal can be used for jutsu one rank higher and below. he clan member starts off with one free Blood Tattoo seal, all others must be apped as normal items or jutsu. (again, I believe that is what you were asking) (question for this, is there a limit on how many seals can be used? For items or jutsu? Also is it possible to have "sets" depending on the, mission, battle, ect, the user can decide to bring different things. I.E Seal 1- stores kunia for a mission. but then say they enters the chunnin can they it be seal 1- stores fireball jutsu? (Ovb at the start of the thread they would have to say "Set 1" or 2 and can only use what is apped ) (Or maybe have it under a "Clan locker") I just don't wanna have ppl (if anyone decided to join) to be stuck with a kunia on their palm when in a sense all they would need to do is "empty" the seal to be able to refill it so to speak"
5- Added more detail to the debuff of ninjutsu "Elemental Ninjutsu attacks are one rank lower in damage when used by a clans member (this is excluding those in the seals.)" [*]Members can not take the following positives: Mighty, Elementalist, Jutsu Master and Quick Learner. [*]Members must take Hesitant (Element) as a negative. [*]Learning a element have a 10% increase to word count cost. [*]Elemental jutsus cost an additional 10 charka when used. So, i assume that the blood seals are just, body seals that clan members can app individually as jutsu with their own effects using that template, please clarify this. 1/ Normal 15 for a C rank... Also, nope, +1 tier should be the limit of a C rank jutsu, you cannot 'also' get a +1 rank in power to a spec... normally reserved for A rank abilities (for increasing the power of jutsu). Increasing power of basic strikes by a rank would be B rank as a stand alone ability. 2/ This scales to SS, which typically you're not allowed, it's also rather infringing on copy wheel which the uchiha have. I get what you're trying to do here, but there are other ways you could go about it... Maybe a mimic technique, rather than a learning one. 3/ You can only have one scaling technique and one S rank technique in your clan, this is both the second scaling technique AND the second S rank technique. So, that needs to change. Pick one.